A consistent golf swing that leads to better shots begins with developing a consistency in our pre shot mentality and setup. George Gankas golf philosophies, known to the world as the GG Swing Method, stress the importance of developing a preshot routine, tailored to a golfer’s own comfort and style as a player. As the leading instructor behind the development of the GG Swing Method, George Gankas golf techniques and strategies have captivated the minds of an entire generation of junior golf pros, while providing cutting edge insights and advancements for overall golf fitness that can be applied by any golfer on any skill level. 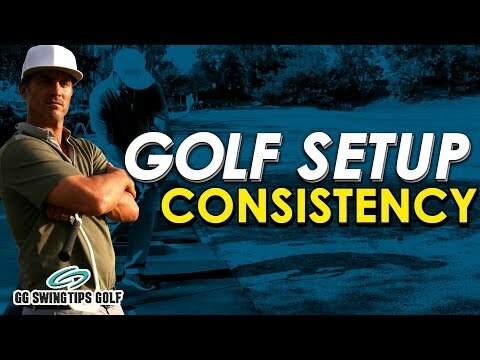 Gankas advocates that each golfer can learn strong fundamentals that are applicable in all golf swing situations, while implementing such techniques and strategies into their game in a way that best suits their own personal golfing style. Probably the most important element of a golf swing that many players never consider, developing a predictable, consistent pre-shot routine will improve our mental golf thought process before swinging the club, which will lead to improved shots and an overall optimization of our game. Developing this pre-shot setup routine should conform to your own learning style in a way that can concentrate your focus during each golf swing you take. Having a more consistent swing setup will lead to hitting golf shots that excel in both technique and creativity, allowing the golfer to worry less about their pre-shot routine and focus more on delivery the best swing for the specific situation. Easy to understand, golfers that are constantly starting their swing setup with a positive and proven mindset driven routine will experience better results than players who approach each shot differently, sometimes with a scattered mindset that may be focus deficient. Crafting our pre-shot mentality to be predictable and calculated will drastically simplify the thoughts we experience before swinging the club, while making the game extremely less difficult to play. Entering every shot on the golf course with a consistent mindset will build the quality of our game overall, while making adjustments along the way to achieve the lowest scores possible at any skill level. While developing a predictable pre-shot routine acts essential to becoming a well rounded golfer, we must first understand the overall goals associated with developing such habits. The main objective for golfers and their swing setup focuses on building a consistent shot process that will deliver the same desired results through repetitive processes, which will provide lasting skills in our game while maximizing our own strength and energy, leading to the overall simplification of the often challenging sport of golf. Such practices have been utilized by golf instructors like Gankas for decades as a means to track and develop all parts of a player’s game. Golfers are encouraged to zone in their focus when approaching the golf ball, quickly reviewing conditional details that are in play before setting up their swing. Quickly analyzing the wind direction, lie of the shot, perceived distance, swing technique, club choice and aim will become a way of life once a player has developed sound consistency in how they set up each shot they take. CAN YOU PASS THIS SIMPLE GRIP TEST? December 25, 2018 Comments Off on CAN YOU PASS THIS SIMPLE GRIP TEST?